MONDAY, Jan. 9, 2017 (HealthDay News) -- Americans with lower levels of income are less likely to get recommended cancer screenings, but legislation waiving out-of-pocket costs appears to narrow the prevention gap -- for mammograms, at least. That's the conclusion of researchers who studied a provision of the Affordable Care Act (ACA), also known as Obamacare, allowing people to obtain certain preventive health services free of charge. The study authors wanted to know: Did the ACA make a difference in Medicare beneficiaries' use of mammograms and colonoscopies to detect breast cancer and colon cancer, respectively? After Obamacare waived out-of-pocket expenses for cancer screenings, disparities between the wealthiest and poorest women in rates of screening mammography closed a bit, the study found. 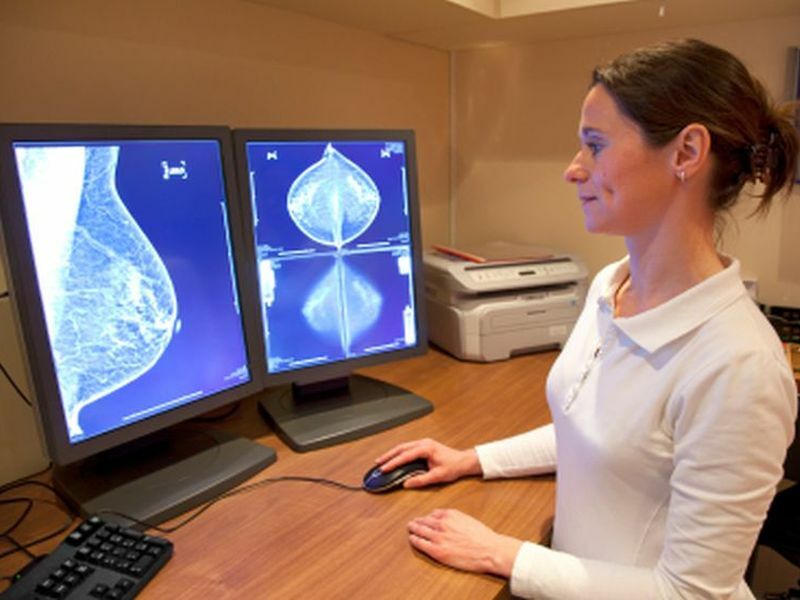 What's more, mammography rates increased by about 20 percent, on average, across all levels of income and education after implementation of the free preventive screening provision. The study doesn't prove cause and effect, but does suggest that removing financial barriers may reduce screening disparities -- a notable finding given the uncertain future of the Affordable Care Act. "At least for mammography, it looks like it did make a difference," said lead author Dr. Gregory Cooper. Not so for colonoscopy. "We found that the gap didn't really narrow a whole lot," said Cooper, a gastroenterologist and professor of medicine at Case Western Reserve University in Cleveland. Overall, colonoscopy screening rates "were fairly stagnant," with no observable change after the Obamacare provision took effect, he added. Non-monetary factors -- including required bowel preparation and the fear of discomfort -- may also play a role in deterring colon cancer screenings, Cooper and colleagues suggested. Dr. Otis Brawley, chief medical officer of the American Cancer Society, said the results may also reflect women's "health-seeking behavior." The ease of preparing for mammography versus colonoscopy and more widespread messaging about mammography screening shouldn't be discounted, he noted. It's assumed that out-of-pocket spending is a barrier to patients receiving cancer prevention services, especially those with lower levels of income and education, the authors explained in background notes. Cooper said, "If you were to survey patients and ask them what prevents them from getting some of these services, cost is definitely one of the major factors." Brawley believes that "the cheaper we make these tests, the lower the hurdles people have to go through to get these tests." Obamacare sought to remove that hurdle by waiving out-of-pocket costs. Free preventive screenings took effect in 2011. But studies of the effectiveness of the provision have produced inconsistent results, and few studies compare changes across income and education levels, the authors noted. Cooper and colleagues looked at Medicare claims data to examine mammography and colonoscopy screenings before and after the health law's implementation. The researchers identified women 70 and older who hadn't had mammography in the previous two years. In addition, the study looked at men and women 70 and older who were at increased risk for colon cancer and hadn't had a colonoscopy in the past five years. Using county-level U.S. Census data, the team examined cancer screenings by median household income and education in the two years before and after Obamacare took effect. The study is unique because it relies on the same patients pre- and post-Obamacare, Cooper said. On the other hand, the study was limited to an older, mostly white population enrolled in the traditional, Medicare "fee-for-service" program. It did not measure the impact on younger, privately insured or minority populations. The results were published Jan. 9 in the journal Cancer. Wassim Tarraf is an assistant professor at the Institute of Gerontology at Wayne State University in Detroit. He pointed out that, despite limitations, the study "increases the evidence base" on the effects of waiving out-of-pocket costs on health care disparities in preventive services. With the incoming Trump administration seeking to repeal and replace the Affordable Care Act, it's uncertain which, if any, Obamacare provisions may be retained. "My view is that, even if the ACA is repealed or drastically changed, several of the Medicare FFS (fee-for-service) changes, particularly regarding recommended preventive services, could be retained with minimal political opposition," Tarraf said. A replacement plan is likely to feature high-deductible health plans, a move that Cooper believes could negatively affect lower income individuals. "If you take away people's health insurance and they're going to pay out of pocket for health care, are they going to get a mammogram, or are they going to buy food?" he asked. "People are going to do what gives them the best benefit in the short term, which is food and shelter."